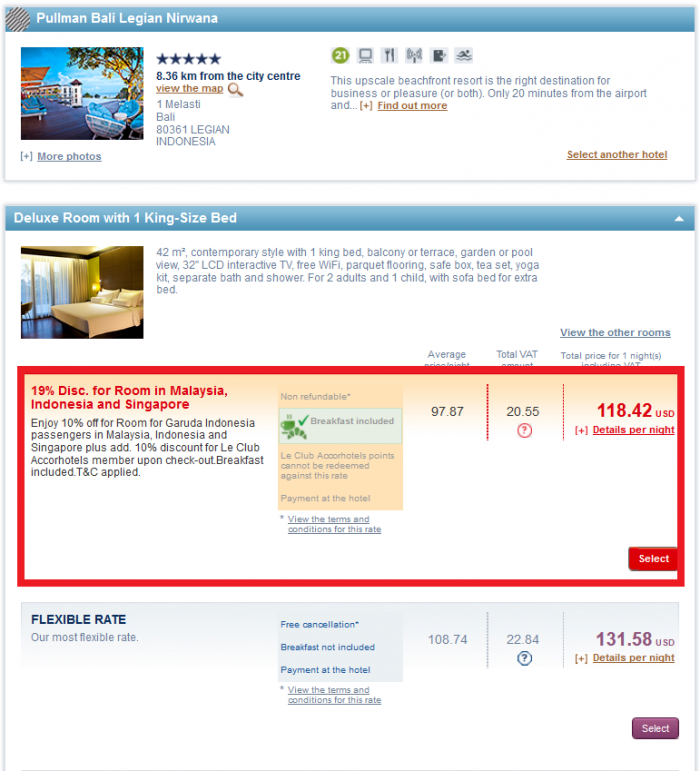 Le Club AccorHotels has launched interesting 19% off breakfast inclusive rate plan for stays in Indonesia, Malaysia and Singapore. 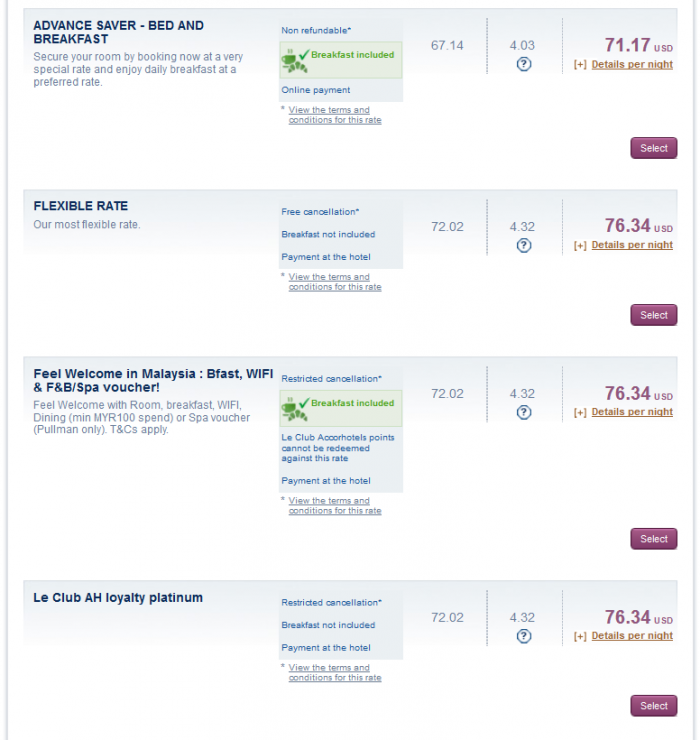 The offer is valid for stays until the end of 2016 and requires the Garuda Indonesia GarudaMiles membership, but doesn’t require you to credit points there. Clearly the lowest price and inclusive of breakfast. Not the lowest rate available but inclusive breakfast. 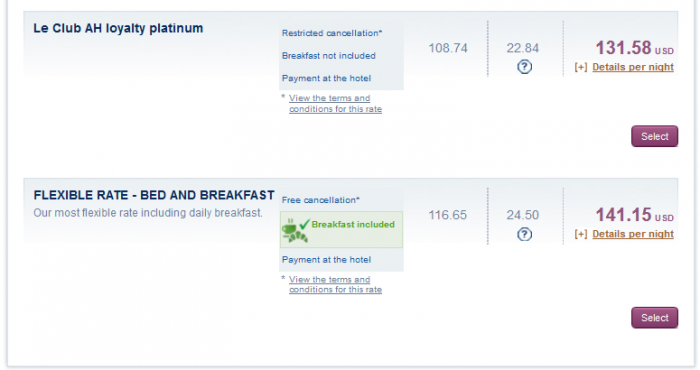 This is an interesting rate offer for stays that outside of sale periods or if you always need to have a breakfast which this rate includes. The rate only requires you to be a GarudaMiles member that is as easy as visiting their website.